Friedrich Engels (/ˈɛŋ(ɡ)əlz/; German: [ˈfʁiːdʁɪç ˈʔɛŋl̩s]; sometimes anglicised Frederick Engels; 28 November 1820 – 5 August 1895) was a German philosopher, communist, social scientist, journalist and businessman. His father was an owner of large textile factories in Salford, England and in Barmen, Prussia (what is now in Wuppertal, Germany). Engels developed what is now known as Marxist theory together with Karl Marx and in 1845 he published The Condition of the Working Class in England, based on personal observations and research in English cities. In 1848, Engels co-authored The Communist Manifesto with Marx and also authored and co-authored (primarily with Marx) many other works. Later, Engels supported Marx financially, allowing him to do research and write Das Kapital. After Marx's death, Engels edited the second and third volumes of Das Kapital. Additionally, Engels organised Marx's notes on the Theories of Surplus Value, which he later published as the "fourth volume" of Capital. In 1884, he published The Origin of the Family, Private Property and the State on the basis of Marx's ethnographic research. Engels died in London on 5 August 1895, at the age of 74 and following cremation his ashes were scattered off Beachy Head, near Eastbourne. 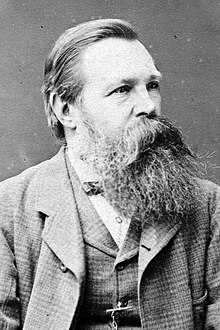 Engels was born on 28 November 1820 in Barmen, Rhine Province, Prussia (now Wuppertal, Germany) as eldest son of Friedrich Engels Sr. (1796–1860) and of Elisabeth "Elise" Franziska Mauritia von Haar (1797–1873). The wealthy Engels family owned large cotton-textile mills in Barmen and Salford, both expanding industrial metropoles. Friedrich's parents were devout Pietist Protestants and they raised their children accordingly. 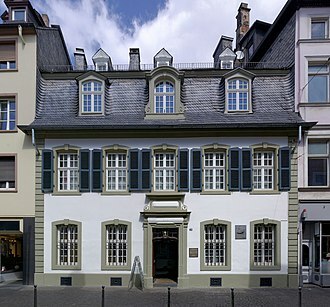 At the age of 13, Engels attended high school (Gymnasium) in the adjacent city of Elberfeld but had to leave at 17, due to pressure of his father, who wanted him to become a businessman and start to work as mercantile apprentice in his firm. After a year in Barmen, the young Engels was in 1838 sent by his father to undertake an apprenticeship at a commercial house in Bremen. His parents expected that he would follow his father into a career in the family business. Their son's revolutionary activities disappointed them. It would be some years before he joined the family firm. Whilst at Bremen, Engels began reading the philosophy of Hegel, whose teachings dominated German philosophy at that time. In September 1838 he published his first work, a poem entitled "The Bedouin", in the Bremisches Conversationsblatt No. 40. He also engaged in other literary work and began writing newspaper articles critiquing the societal ills of industrialisation. He wrote under the pseudonym "Friedrich Oswald" to avoid connecting his family with his provocative writings. In 1841 Engels performed his military service in the Prussian Army as a member of the Household Artillery (German: Garde-Artillerie-Brigade). Assigned to Berlin, he attended university lectures at the University of Berlin and began to associate with groups of Young Hegelians. He anonymously published articles in the Rheinische Zeitung, exposing the poor employment- and living-conditions endured by factory workers. The editor of the Rheinische Zeitung was Karl Marx, but Engels would not meet Marx until late November 1842. Engels acknowledged the influence of German philosophy on his intellectual development throughout his career. He also wrote, "To get the most out of life you must be active, you must live and you must have the courage to taste the thrill of being young ... " (1840). Engels developed atheistic beliefs and his relationship with his parents became strained. In 1842, his parents sent the 22-year-old Engels to Manchester, England, a manufacturing centre where industrialisation was on the rise. He was to work in Weaste in the offices of Ermen and Engels's Victoria Mill, which made sewing threads. Engels's father thought that working at the Manchester firm might make his son reconsider some of his radical opinions. 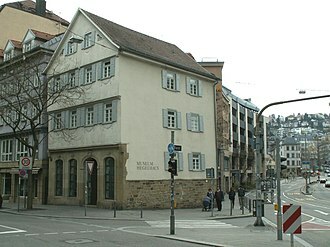 On his way to Manchester, Engels visited the office of the Rheinische Zeitung in Cologne and met Karl Marx for the first time. They were not impressed with each other. Marx mistakenly thought that Engels was still associated with the Berliner Young Hegelians, with whom Marx had just broken off ties. In Manchester, Engels met Mary Burns, a fierce young Irish woman with radical opinions who worked in the Engels factory. They began a relationship that lasted 20 years until her death in 1863. The two never married, as both were against the institution of marriage. While Engels regarded stable monogamy as a virtue, he considered the current state and church-regulated marriage as a form of class oppression. Burns guided Engels through Manchester and Salford, showing him the worst districts for his research. In Paris, Marx was publishing the Deutsch–Französische Jahrbücher. Engels met Marx for a second time at the Café de la Régence on the Place du Palais, 28 August 1844. The two quickly became close friends and remained so their entire lives. Marx had read and was impressed by Engels's articles on The Condition of the Working Class in England in which he had written "A class which bears all the disadvantages of the social order without enjoying its advantages … Who can demand that such a class respect this social order?" Marx adopted Engels's idea that the working class would lead the revolution against the bourgeoisie as society advanced toward socialism, and incorporated this as part of his own philosophy. However, as Ruge remained a Young Hegelian in his belief, Marx and Ruge soon split and Ruge left the Deutsch–Französische Jahrbücher Nonetheless, following the split, Marx remained friendly enough with Ruge that he sent Ruge a warning on 15 January 1845 that the Paris police were going to execute orders against him, Marx and others at the Deutsch–Französische Jahrbücher requiring all to leave Paris within 24 hours. 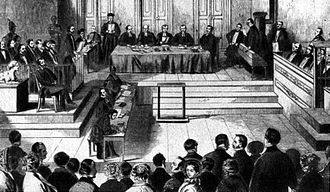 Marx himself was expelled from Paris by French authorities on 3 February 1845 and settled in Brussels with his wife and one daughter. 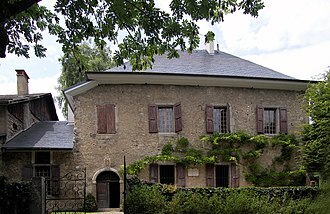 Having left Paris on 6 September 1844, Engels returned to his home in Barmen, Germany, to work on his The Condition of the Working Class in England, which was published in late May 1845. Even before the publication of his book, Engels moved to Brussels in late April 1845, to collaborate with Marx on another book, German Ideology. While living in Barmen, Engels began making contact with Socialists in the Rhineland to raise money for Marx's publication efforts in Brussels. However, these contacts became more important as both Marx and Engels began political organizing for the Social Democratic Workers' Party of Germany. The nation of Belgium, founded in 1830, was endowed with one of the most liberal constitutions in Europe and functioned as refuge for progressives from other countries. From 1845 to 1848, Engels and Marx lived in Brussels, spending much of their time organising the city's German workers. Shortly after their arrival, they contacted and joined the underground German Communist League. The Communist League was the successor organisation to the old League of the Just which had been founded in 1837, but had recently disbanded. Influenced by Wilhelm Weitling, the Communist League was an international society of proletarian revolutionaries with branches in various European cities. 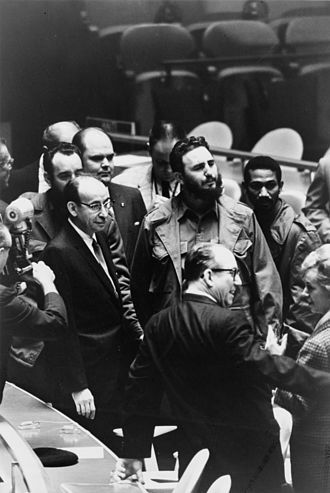 The Communist League also had contacts with the underground conspiratorial organisation of Louis Auguste Blanqui. Many of Marx's and Engels's current friends became members of the Communist League. Old friends like Georg Friedrich Herwegh, who had worked with Marx on the Rheinsche Zeitung, Heinrich Heine, the famous poet, a young doctor by the name of Roland Daniels, Heinrich Bürgers and August Herman Ewerbeck all maintained their contacts with Marx and Engels in Brussels. Georg Weerth, who had become a friend of Engels in England in 1843, now settled in Brussels. 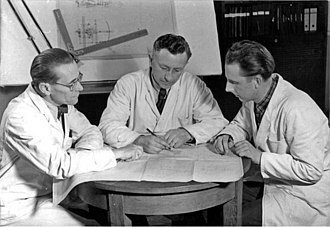 Karl Wallau and Stephen Born (real name Simon Buttermilch) were both German immigrant typesetters who settled in Brussels to help Marx and Engels with their Communist League work. Marx and Engels made many new important contacts through the Communist League. One of the first was Wilhelm Wolff, who was soon to become one of Marx's and Engels's closest collaborators. Others were Joseph Weydemeyer and Ferdinand Freiligrath, a famous revolutionary poet. While most of the associates of Marx and Engels were German immigrants living in Brussels, some of their new associates were Belgians. Phillipe Gigot, a Belgian philosopher and Victor Tedesco, a lawyer from Liège, both joined the Communist League. Joachim Lelewel a prominent Polish historian and participant in the Polish uprising of 1830–1831 was also a frequent associate. The Communist League commissioned Marx and Engels to write a pamphlet explaining the principles of communism. This became Manifesto of the Communist Party, better known as the Communist Manifesto. It was first published on 21 February 1848 and ends with the world-famous phrase: "Let the ruling classes tremble at a Communistic revolution. The proletariat have nothing to lose but their chains. They have a world to win ... Working Men of All Countries, Unite!" Engels's parents hoped that young Friedrich would "decide to turn to activities other than those which you have been pursing [sic?] in recent years and which have caused so much distress." At this point Friedrich's parents felt the only hope for their son was to emigrate to America and start his life over. They told him that he should do this or he would "cease to receive money from us." However, the problem in the relationship between Friedrich and his parents was worked out without Engels having to leave England or being cut off from financial assistance from his parents. 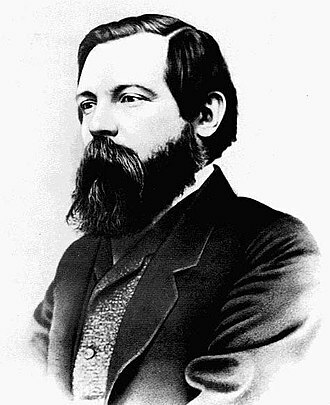 In July 1851, Friedrich Engels's father arrived to visit him in Manchester, England. 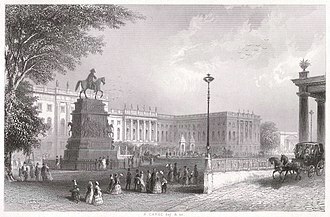 During the visit his father arranged for Friedrich to meet Peter Ermen of the office of Ermen & Engels, to move to Liverpool, and to take over sole management of the office in Manchester. In 1849 Engels travelled to the Kingdom of Bavaria for the Baden and Palatinate revolutionary uprising, an even more dangerous involvement. Fredrich Engels died of throat cancer in London on 5 August 1895, at the age of 74. Following cremation at Woking Crematorium, his ashes were scattered off Beachy Head, near Eastbourne as he had requested. Engels was a polyglot and was able to write and speak in languages including Russian, Italian, Portuguese, Irish, Spanish, Polish, French, English and Milanese dialect. Since 1931, Engels has had a city named after him—Engels in Saratov Oblast, Russia. It served as the capital of the Volga German Republic within Soviet Russia. A town named Marx is located 30 miles (48 km) northeast. The book created a controversy with much of the press and caused Bruno Bauer to attempt refuting the book in an article published in Wigand's [de] Vierteljahrsschrift in 1845. Bauer claimed that Marx and Engels misunderstood what he was trying to say. Marx later replied to his response with his own article published in the journal Gesellschaftsspiegel [de] in January 1846. Marx also discussed the argument in chapter 2 of The German Ideology. The Origin of the Family, Private Property and the State is a work connecting capitalism with what Engels argues is an ever-changing institution – the family. It was written when Engels was 64 years of age. 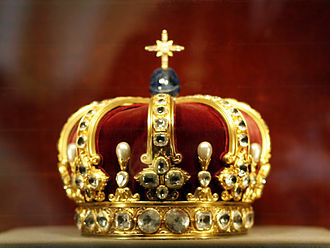 It contains an historical view of the family in relation to issues of class, female subjugation and private property. ^ a b Norman Levine, Divergent Paths: The Hegelian Foundations of Marx's Method, Lexington Books, 2006, p. 92: "the Young never graduated from the gymnasium, never went to university..."
^ "Engels". Random House Webster's Unabridged Dictionary. ^ a b c d e Hunt, Tristram (2009), Marx's General: The Revolutionary Life of Friedrich Engels, Metropolitan/Henry Holt & Co, ISBN 9780805080254. ^ Theories of Surplus Value, in Collected Works of Marx and Englels: Volumes 30, 31 and 32 (International Publishers: New York, 1988). ^ A copy of Friedrich Engels's birth certificate appears on page 577 of the Collected Works of Karl Marx and Friedrich Engels: Volume 2 (New York: International Publishers, 1975). ^ "Friedrich Engels Facts in Encyclopedia of World Biography". The Gale Group, Inc. Retrieved 2019-01-08. ^ a b c d e f "Lenin: Friedrich Engels". Marxists.org. Retrieved 2010-02-13. ^ Progress Publishers. "Preface by Progress Publishers". Marxists.org. Retrieved 2010-02-13. ^ "Footnotes to Volume 1 of Marx Engels Collected Works". Marxists.org. 15 November 1941. Retrieved 2010-02-13. ^ Heinrich Gemkow et al., Friedrich Engels: A Biography (Verlag Zeit im Bild: Dresden, Germany, 1972) p. 53. ^ Friedrich Engels. "Letters of Marx and Engels, 1845". Marxists.org. Retrieved 2010-02-13. ^ a b c d "Biography on Engels". Marxists.org. Retrieved 2010-02-13. ^ a b "Legacies – Work – England – Manchester – Engels in Manchester – Article Page 1". BBC. Retrieved 2010-02-13. ^ Wheen, Francis Karl Marx: A Life, p. 75. ^ Heinrich Gemkow et al., Friedrich Engels: A Biography (Verlag Zeit im Bild: Dresden, Germany, 1972) pp. 53–54. ^ a b "Legacies – Work – England – Manchester – Engels in Manchester – Article Page 2". BBC. Retrieved 2010-02-13. ^ Carver, Terrell (2003). Engels: A Very Short Introduction. Oxford University Press. pp. 71–72. ^ Draper, Hal (July 1970). "Marx and Engels on Women's Liberation". International Socialism. Retrieved 2011-11-29. ^ "Outline of a Critique of Political Economy," Collected Works of Karl Marx and Friedrich Engels: Volume 3 (International Publishers: New York, 1975), pp. 418–445. ^ The Condition of the Working Class in England, in the Collected Works of Marx and Engels: Volume 4 (International Publishers: New York, 1975) pp. 295–596. ^ Karl Marx (1880). "Introduction to the French Edition of Engels". Marxists.org. Archived from the original on 14 March 2004. Retrieved 13 February 2010. ^ P. N. Fedoseyev et al, Karl Marx: A Biography (Progress Publishers: Moscow, 1973) pp. 41–42 & 49. ^ P. N. Fedoseyev, et al., Karl Marx: A Biography, p. 71. ^ Karl Marx and Friedrich Engels, Collected Works: Volume 4, p. 424. ^ P. N. Fedoseyev, et al., Karl Marx: A Biography (Progress Publishers: Moscow, 1973) pp. 82–83. ^ The Holy Family, Collected Works of Karl Marx and Friedrich Engels: Volume 4, pp. 3 through 211. ^ P. N. Fedoseyev, et al., Karl Marx: A Biography (Progress Publishers: Moscow, 1973) p. 60. ^ P. N. Fedoseyev et al., Karl Marx: A Biography pp. 57–58. ^ Karl Marx and Friedrich Engels, "Letter from Marx to Ruge" (15 January 1845) contained in Collected Works: Volume 38, p. 15. ^ Heinrich Gemkow et al., Friedrich Engels: A Biography p. 625. ^ Heinrich Gemkow et al. Friedrich Engels: A Biography p. 625. ^ German Ideology is located in the Collected Works of Karl Marx and Friedrich Engels pp. 19 through 539. ^ Heinrich Gemkow et al., Friedrich Engels: A Biography p. 101. ^ Jacqes Pauwels. "Dinner with Marx in the House of the Swan". Retrieved 2019-01-08. ^ Isaiah Berlin, Karl Marx: His Life and Environment (Oxford University Press: Oxford, England, 1963) pp. 159–160. ^ Isaiah Berlin, Karl Marx: His Life and Environment p. 160. ^ Karl Marx and Friedrich Engels, Manifesto of the Communist Party contained in the Collected Works Volume 6 pp. 477–517. ^ a b c Elisabeth Engels's letter contained at No. 6 of the Appendix, Collected Works of Karl Marx and Friedrich Engels: Volume 38 (International Publishers: New York, 1982) pp. 540–541. ^ Karl Marx and Friedrich Engels, "Banquet in Gűrzenich" contained in the Collected Works: Volume 9 (International Publishers: New York, 1977) p. 490. ^ a b c Elisabeth Engels's letter to Friedrich Engels contained at No. 8 of the Appendix in the Collected Works of Karl Marx and Friedrich Engels: Volume 38, p. 543. ^ Friedrich Engels letter to Karl Marx dated 6 July 1851 and contained at No. 186 of the Collected Works of Karl Marx and Friedrich Engels: Volume 38, p. 378. ^ Karl Marx and Friedrich Engels, "The Magyar Struggle" contained in Collected Works: Volume 8, pp. 227–238. ^ See Karl Marx and Friedrich Engels, Collected Works: Volume 8, pp. 451–480 and Volume 9, pp. 9–463. ^ "Engels, Friedrich (encyclopedia)". Marxists.org. Retrieved 2010-02-13. ^ Isaiah Berlin, Karl Marx: His Life and Environment, 4th ed. 1978, New York and Oxford: Oxford University Press, 1996, p. 130, ISBN 978-0-19-510326-7. ^ Mike Rapport, 1848 Year of Revolution, London: Little Brown, 2008, p. 342, ISBN 978-0-316-72965-9. ^ Karl Marx and Friedrich Engels, "Elberfeld" contained in the Collected Works: Volume 9 (International Publishers: New York, 1977) p. 447. ^ Heinrich Gemkow, et al., Friedrich Engels: A Biography (Verlag Zeit im Bild: Dresden, 1972) p.205. ^ "Letter from Engels to Jenny Marx" (25 July 1849) contained in the Collected Works: Volume 38 pp. 202–204. ^ Friedrich Engels letter contained at No. 183 of the Collected Works of Karl Marx and Friedrich Engels: Volume 38, p. 370. ^ Karl Marx and Friedrich Engels, Collected Works: Volume 10, p. 147. ^ See the "Letter to from Engels to George Julian Harney" dated 5 October 1849, in the Collected Works of Karl Marx and Friedrich Engels: Volume 38 p. 217. ^ Karl Marx and Friedrich Engels, "Letter from Engels to George Julian Harney (5 October 1849) Collected Works: Volume 38 p. 217. ^ Heinrich Gemkow et al., Friedrich Engels: A Biography p. 213. ^ "Legacies – Work – England – Manchester – Engels in Manchester – Article Page 4". BBC. Retrieved 2010-02-13. ^ "Legacies – Work – England – Manchester – Engels in Manchester – Article Page 5". BBC. Retrieved 2010-02-13. 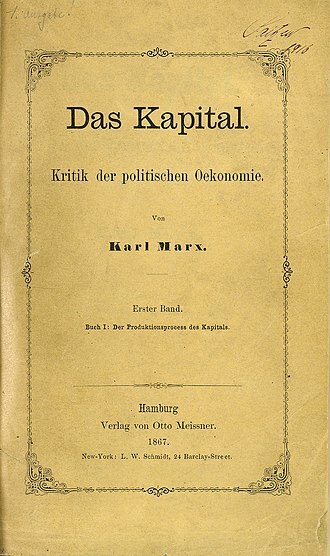 ^ "The Peasant War in Germany" and s contained in the Collected Works of Karl Marx and Friedrich Engels: Volume 10 pp. 397 through 482. ^ The article "On the Slogan of the Abolition of the State and the German 'Friends of Anarchy'" is contained in the Collected Works of Marx and Engels: Volume 10 p. 486. ^ The pamphlet "Conditions and Prospects of a War of the Holy Alliance against France" is contained in the Collected Works of Karl Marx and Friedrich Engels: Volume 10 p. 542. ^ a b Friedrich Engels's letter to Karl Marx dated 3 December 1851 contained in the "Collected Works of Karl Marx and Friedrich Engels: Volume 38", p. 503. ^ See note 517 located at page 635 in the "Collected Works of Karl Marx and Friedrich Engels: Volume 38. ^ Karl Marx, "The Eighteenth Brumaire of Louis Bonaparte" contained in the Collected Works of Karl Marx and Friedrich Engels: Volume 11, p. 98. ^ Karl Marx, "The Eighteenth Brumaire of Louis Bonaparte" contained in the Collected Works of Karl Marx and Friedrich Engels: Volume 11, p. 103. ^ See the letter from Friedrich Engels to Joseph Weydemeyer dated 12 April 1853, contained in the Collected Works of Karl Marx and Friedrich Engels: Volume 39 (New York: International Publishers, 1983) pp. 305–306. ^ Letter from Fredereick Engels to Joseph Weydemeyer dated 12 April 1853 contained in the Collected Works of Karl Marx and Friedrich Engels: Volume 39, p. 306. ^ W. Bruce Lincoln, The Romanovs: Autocrats of All the Russias (New York: Dial Press, 1981) pp. 408–413. ^ See the letter from Karl Marx to Vera Zasulich contained in the Collected Works of Karl Marx and Friedrich Engels: Volume 46, (New York: International Press, 1992), pp. 71–72, and Engels's "Preface to the Russian Edition of 1882" in The Communist Manifesto. ^ Gareth Stedman Jones, note on Engels's "Preface to the Russian Edition of 1882" in The Communist Manifesto (London: Penguin Books, 2002). 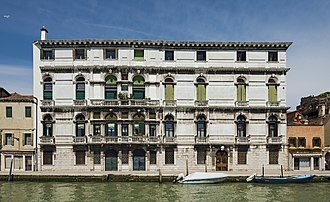 ^ "Photos of Marx's Residence(s)". Marxists.org. Retrieved 2010-02-13. ^ Henderson, William Otto (1976). The Life of Friedrich Engels. Psychology Press. p. 567. ISBN 978-0-7146-3040-3. ^ Samuel Hollander (2011). 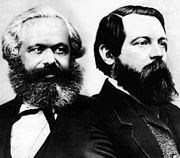 Friedrich Engels and Marxian Political Economy. Cambridge University Press. p. 358. ISBN 978-1-139-49844-9. ^ a b "Letters: Marx-Engels Correspondence 1895". Marxists.org. Retrieved 2010-02-13. ^ Kerrigan, Michael (1998). Who Lies Where – A guide to famous graves. London: Fourth Estate Limited. p. 156. ISBN 978-1-85702-258-2. ^ Manchester Photographers by Gillian Read. Ed. Royal Photographic Society's Historical Group, 1982: "George Lester, 51, King Street, Manchester (1863–1868). See the photo in Jenny Marx album too. ^ Engels, Friedrich. "Friedrich Engels's "Confession"". Marxists Internet Archive. Archived from the original on 27 April 2014. Retrieved 2014-10-25. ^ Marx's General: The Revolutionary Life of Friedrich Engels By Tristram Hunt. 2010. p. 43. ^ Paul Lafargue; Jacques Bonhomme (15 August 1905). "Friedrich Engels". Marxists Internet Archive (from The Social Democrat journal). Marxists Internet Archive. Retrieved 15 April 2013. ^ Vladimir Ilyich Lenin. "Friedrich Engels". Marxists.org. Retrieved 2011-01-25. ^ "Friedrich Engels' beard inspires climbing sculpture in Salford". BBC News. BBC. 2014-12-09. Retrieved 2017-01-31. ^ "Watch as Friedrich Engels statue is put together in Manchester city centre". Manchester Evening News. 2017-07-14. Retrieved 2017-12-16. ^ Bolton, Kevin (19 July 2017). "Manchester has a Soviet statue of Engels. Shame no one asked the city's Ukrainians – Kevin Bolton". The Guardian. www.theguardian.com. Retrieved 6 January 2018. ^ a b "The Holy Family by Marx and Engels". Marxists.org. Retrieved 2010-02-13. ^ Griffin, Emma. "The 'industrial revolution': interpretations from 1830 to the present". Retrieved 9 March 2013. ^ Engels. "1883-Dialectics of Nature-Index". marxists.anu.edu.au. Retrieved 4 May 2018. Economic and Philosophic Manuscripts of 1844 are a series of notes written between April and August 1844 by Karl Marx. Not published by Marx during his lifetime, they were first released in 1927 by researchers in the Soviet Union, the notebooks are an early expression of Marxs analysis of economics, chiefly Adam Smith, and critique of the philosophy of G. W. F. Hegel. The notebooks cover a range of topics including private property, communism. They are best known for their expression of Marxs argument that the conditions of modern industrial societies result in the estrangement of wage-workers from their own life activity/work. The young Marx had been ignored until recently, because his early works were considered more philosophical and by some as not scientific enough. However, Marxist humanists regard this book as one of the most important texts by Marx and crucial for understanding his entire thought, and Marxians refer to it. In the first manuscript in which there are extensive quotes on economics from Adam Smith, Marx exposes his theory of alienation and he explains how, under capitalism and more people rely on labour to live. That is, before people could rely in part on Nature itself for its needs, in modern society, if one wants to eat, one must work. He thereby owes it the possibility to exist first as a worker, in other words, the worker relies on labour to gain money to be able to live, but he doesnt live, he only survives, as a worker. Labour is only used to more wealth, instead of achieving the fulfillment of human nature. ‘Excerpt notes of 1844’ called the ‘Paris manuscripts’ are known as some of Karl Marx’s earliest writings on philosophy plus economics, they were only published in the 1930s after the Soviet Revolution of 1917 had already taken place. Money was invented only to overcome difficulties exchanging goods, since it was, hence money, as the empiricist John Stuart Mill says, is just the medium of exchange to be more flexible. For Marx, the problem with money consists of the fact that from being a substitute money becomes a good and it does not represent the value of a certain or several goods, the value of those goods is represented by a certain amount of money. 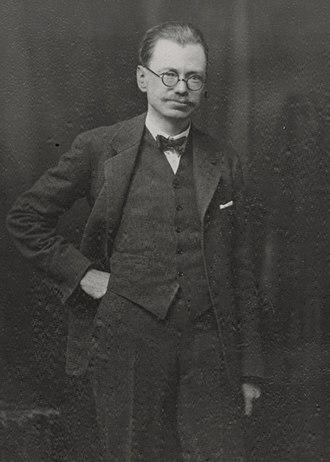 Lewis Henry Morgan was a pioneering American anthropologist and social theorist who worked as a railroad lawyer. 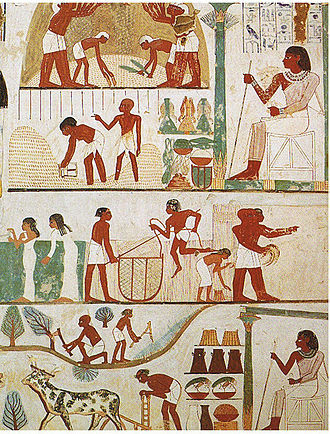 He is best known for his work on kinship and social structure, his theories of social evolution, interested in what holds societies together, he proposed the concept that the earliest human domestic institution was the matrilineal clan, not the patriarchal family. Morgan is the only American social theorist to be cited by such scholars as Marx, Charles Darwin. Elected as a member of the National Academy of Sciences, Morgan served as president of the American Association for the Advancement of Science in 1879. Morgan was a Republican member of the New York State Assembly in 1861, various sources record that the three sons of William Morgan of Llandaff, took passage for Boston in 1636. From there Miles went to Springfield, James to New London, Lloyd writes, From these two brothers all the Morgans prominent in the annals of New York and New England are believed to be descended. The Morgans to which he played a critical part in the foundation of the colonies. During the American Revolutionary War, they were Continentals, immediately after the war, the Connecticut line, along with many other land-hungry Yankees, migrated into New York State. Following the United States victory against the British, the new government forced the latters Iroquois allies to cede most of their lands in New York. New York made 5 million of acres available for public sale, in addition, the US government granted some plots in western New York to Revolutionary veterans as compensation for their service in the war. Lewis grandfather, Thomas Morgan of Connecticut, had been a Continental soldier in the Revolutionary War. Afterward he and his family migrated west to New Yorks Finger Lakes region and he and his wife already had three sons, including Jedediah, the future father of Lewis, and a daughter. In 1797, Jedediah Morgan married Amanda Stanton, settling on a 100-acre gift of land from his father, after she had five children and died, Jedediah married Harriet Steele of Hartford, Connecticut. Moses Hess was a Jewish French philosopher and socialist, and one of the founders of Labor Zionism. Hess was born in Bonn, which was under French rule at the time, in his French-language birth certificate, his name is given as Moises, he was named after his maternal grandfather. Hess received a Jewish religious education from his grandfather, and studied philosophy at the University of Bonn and he was an early proponent of socialism, and a precursor to what would be called Zionism. His works included Holy History of Mankind, European Triarchy and Rome and Jerusalem and he married a Catholic working-class woman, Sibylle Pesch, in defiance of bourgeois values. In socialist literature the idea was propagated that she was a prostitute redeemed by Hess, as correspondent for the Rheinische Zeitung, a radical newspaper founded by liberal Rhenish businessmen, he lived in Paris. 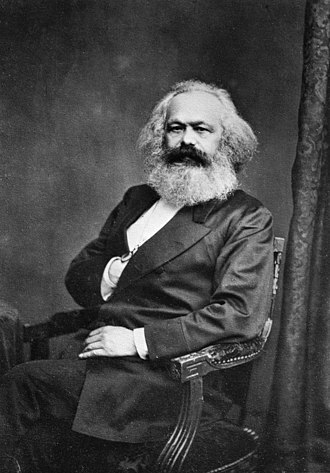 He was a friend and collaborator of Karl Marx and Friedrich Engels, Hess introduced Engels, the future famous communist, to the communism of the early 1840s. But Marx and Engels would become known for their fickle. By the late 1840s, they had fallen out with Hess and they mocked him, first behind his back and openly, and Engels had an affair with Hesss wife. 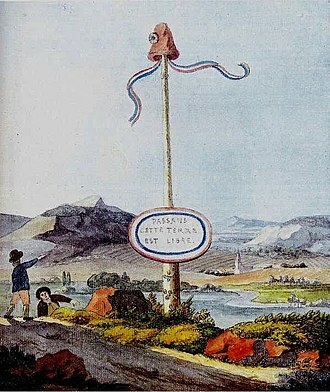 The work of Hess was criticized in part of The German Ideology by Marx, Hess fled to Belgium and Switzerland temporarily following the suppression of the 1848 commune. He would go abroad during the Franco-Prussian War of 1870–71, Hess became reluctant to base all history on economic causes and class struggle, and he came to see the struggle of races, or nationalities, as the prime factor of history. From 1861 to 1863 he lived in Germany, where he acquainted with the rising tide of German antisemitism. It was that he reverted to his Jewish name Moses in protest against Jewish assimilation and he published Rome and Jerusalem in 1862. Hess interprets history as a circle of race and national struggles, Hesss Rome and Jerusalem, The Last National Question went unnoticed in his time, along with the rest of his writings. It originates from the mid-to-late 19th century works of German philosophers Karl Marx and Friedrich Engels. As the contradiction becomes apparent to the proletariat through the alienation of labor, Marxism has since developed into different branches and schools of thought, and there is now no single definitive Marxist theory. Marxism has been adopted by a number of academics and theorists working in various disciplines. 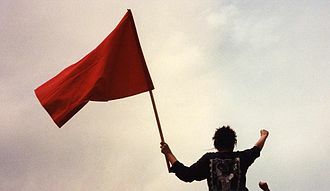 Critics have taken issue with particular Marxist claims or accused Marxism as a whole of being inconsistent, refuted based on new information. The Marxian analysis begins with an analysis of the material conditions, the economic system and these social relations form a base and superstructure. As forces of production, most notably technology, existing forms of social organization become inefficient, from forms of development of the productive forces these relations turn into their fetters. Then begins an era of social revolution and these inefficiencies manifest themselves as social contradictions in society in the form of class struggle. Under the capitalist mode of production, this struggle materializes between the minority who own the means of production, and the vast majority of the population who produce goods, the socialist system would succeed capitalism as humanitys mode of production through workers revolution. According to Marxism, especially arising from crisis theory, socialism is a historical necessity, in a socialist society private property, in the form of the means of production, would be replaced by co-operative ownership. A socialist economy would not base production on the creation of private profits, Society does not consist of individuals, but expresses the sum of interrelations, the relations within which these individuals stand. 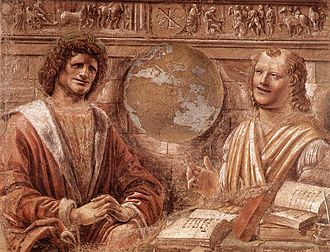 The historical materialist theory of history analyses the causes of societal development. All constituent features of a society are assumed to stem from economic activity, the base and superstructure metaphor portrays the totality of social relations by which humans produce and re-produce their social existence. David Ricardo was a British political economist. He was one of the most influential of the economists, along with Thomas Malthus, Adam Smith. Born in London, Ricardo was the third of 17 children of a Sephardic Jewish family of Portuguese origin who had relocated from the Dutch Republic. His father, Abraham Ricardo, was a successful stockbroker and he began working with his father at the age of 14. At age 21, Ricardo eloped with a Quaker, Priscilla Anne Wilkinson and this religious difference resulted in estrangement from his family, and he was led to adopt a position of independence. His father disowned him and his mother never spoke to him again. Following this estrangement he went into business for himself with the support of Lubbocks and Forster and he made the bulk of his fortune as a result of speculation on the outcome of the Battle of Waterloo. 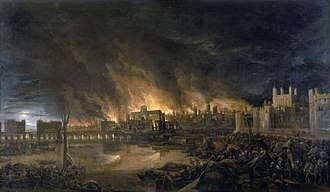 Prior to the battle, Ricardo posted an observer to convey early results of the outcome and he deliberately created the mistaken impression the French had won by initially openly selling British securities. Following this panic he moved to buy British securities at a steep discount, the Sunday Times reported in Ricardo’s obituary, published on 14 September 1823, that during the Battle of Waterloo Ricardo netted upwards of a million sterling, a huge sum at the time. He was appointed High Sheriff of Gloucestershire for 1818–19, in August 1818 he bought Lord Portarlington’s seat in Parliament for £4,000, as part of the terms of a loan of £25,000. 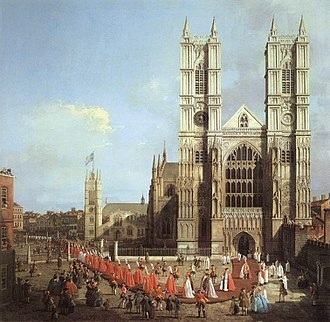 His record in Parliament was that of an earnest reformer and he held the seat until his death four years later. Ricardo was a friend of James Mill. 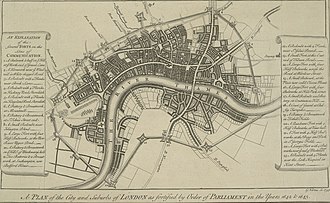 Other notable friends included Jeremy Bentham and Thomas Malthus, with whom Ricardo had a debate over such things as the role of landowners in a society. 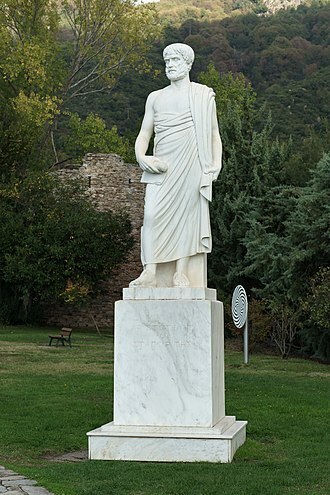 He was a member of Malthus Political Economy Club, and he was one of the original members of The Geological Society. His sister was author Sarah Ricardo-Porter and he voted with opposition in support of the liberal movements in Naples,21 Feb. and Sicily,21 June, and for inquiry into the administration of justice in Tobago,6 June. Johann Kaspar Schmidt, better known as Max Stirner, was a German philosopher. He is often seen as one of the forerunners of nihilism, psychoanalytic theory, Stirners main work is The Ego and Its Own, known as The Ego and His Own. This work was first published in 1845 in Leipzig, and has appeared in numerous editions and translations. Stirner was born in Bayreuth, Stirner was the only child of Albert Christian Heinrich Schmidt and Sophia Elenora Reinlein. 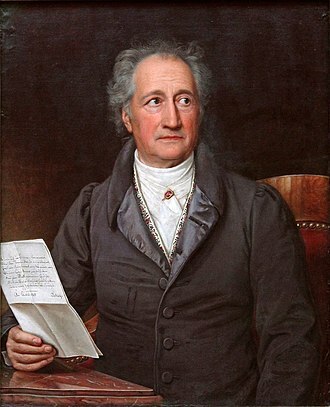 His father died of tuberculosis on April 19,1807 at the age of 37, in 1809 his mother remarried to Heinrich Ballerstedt, a pharmacist, and settled in West Prussian Kulm. When Stirner turned 20, he attended the University of Berlin, where he studied philology, philosophy and he attended the lectures of Georg Wilhelm Friedrich Hegel, who was to become a source of inspiration for his thinking. He attended Hegels lectures on the history of philosophy, the philosophy of religion, Stirner moved to the University of Erlangen, which he attended at the same time as Ludwig Feuerbach. Stirner returned to Berlin and obtained a certificate, but was unable to obtain a full-time teaching post from the Prussian government. While in Berlin in 1841, Stirner participated in discussions with a group of young philosophers called Die Freien, and whom historians have subsequently categorized as the Young Hegelians. 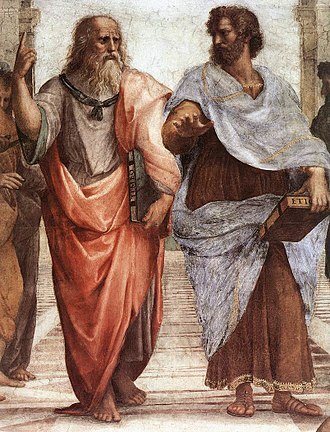 Some of the best known names in nineteenth century literature and philosophy were involved with this group, including Karl Marx, Friedrich Engels, Bruno Bauer, contrary to popular belief, Feuerbach was not a member of Die Freien, although he was heavily involved in Young Hegelian discourse. Feuerbach and Bauer led this charge, frequently the debates would take place at Hippels, a wine bar in Friedrichstraße, attended by, among others and Engels, who were both adherents of Feuerbach at the time. Stirner met with Engels many times, and Engels even recalled that they were great friends and it does not appear that Stirner contributed much to the discussions, but he was a faithful member of the club and an attentive listener. Business might "fail", or not sell enough to pay bills. Emma Goldman denounced wage slavery by saying: "The only difference is that you are hired slaves instead of block slaves." 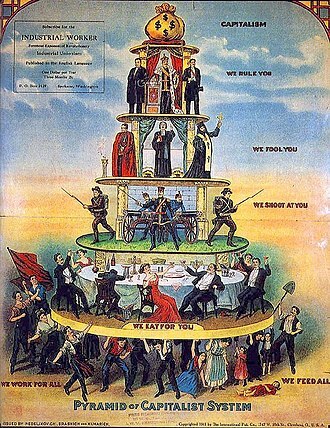 Industrial Workers of the World's "Pyramid of Capitalist System" cartoon is an example of socialist critique of capitalism and of social stratification. 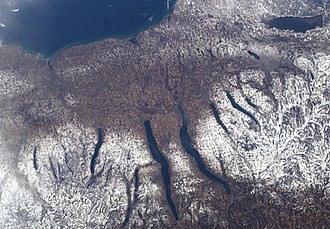 Finger Lakes, upstate New York. 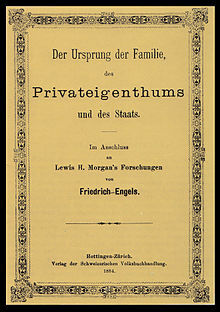 Title page of the first English-language edition, published in London by Swan Sonnenschein & Co. in 1892.